Kadiatu Koroma who lived in Congo Town which was hit by the worst flooding-related disasters to hit Africa in 2017, says they had no idea that that area was disaster-prone. 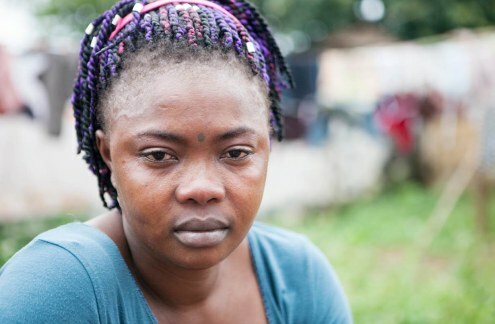 Koroma lost her sister and child in that mudslide which killed over 1000 people. 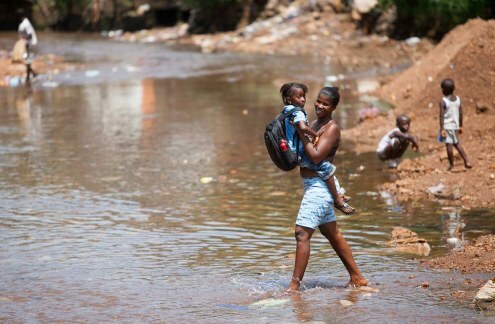 A mother carries her child across the filthy water in a slum town in Congo Town Community. Kadiatu Koroma, who lost her sister and baby niece in Sierra Leone's mudslide, poses for a photo at a temporary camp for survivors. 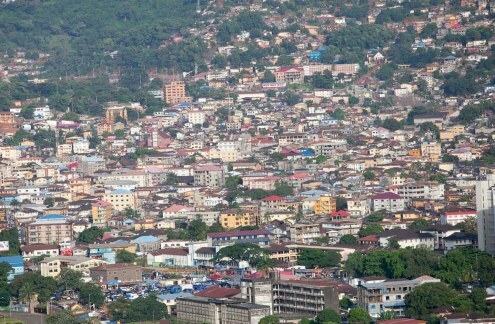 A view of Freetown Sierra Leone. 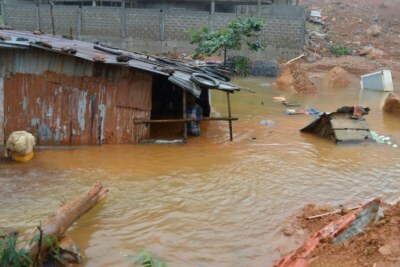 Who's Helping Sierra Leone After Deadly Mudslide? 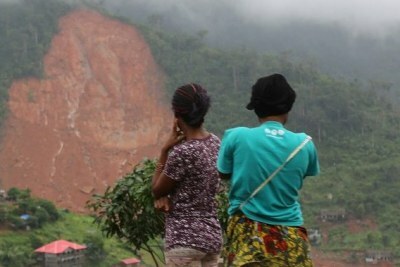 What Caused Sierra Leone's Landslides? Who Will be Sierra Leone's Next President? New Political Parties to Prove a Game Changer in Sierra Leone?